We have specialized in the ebook conversion for authors and small publishers. We create fast and reliable the two standard ebook formats EPUB and MOBI. Each ebook runs through a validation of the IDPF standard prior to delivery so that you can be sure that it will work technically correct on all popular devices. On request, we also give advise regarding distribution possibilities of an ebook. How long takes the eBook conversion? Typically, you will receive an ebook “classic” in about 3 business days. We always strive to provide fast and quality implementation. If modifications should be required, we implement these fast. A correction run is included in the offer to make sure you are satisfied with your ebook. How much costs the eBook conversion? 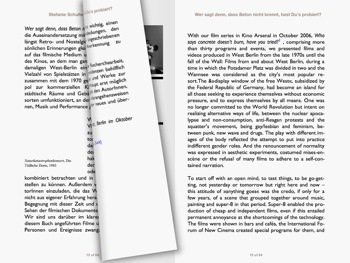 Simple text-based ebooks can be converted from 99.- Euro. Since each book is individual, we will send you a quote based on your needs and on your manuscript. This way we can help you best. Send us your information, such as the page number and size of the book or the manuscript by e-mail. This allows us to get a good overview and make a firm offer. What should you know about ebook conversion? Currently there are these two standard ebook formats: ePUB and MOBI (for Kindle). Many providers advertise to convert a Word manuscript automatically into common eBook formats, but this way a clean conversion cannot be guaranteed. Maybe you’ve even already tried it yourself with the freeware Calibre. 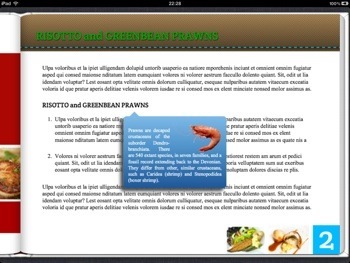 Common mistakes are: Fixed line breaks can divide the text, footers appear sometimes in the middle of the document, tables are not shown, images are not displayed perfectly in place, anchor text and links do not work, etc..
We will format your eBook with professional graphic and conversion programs and export directly in ePUB or MOBI. You can be sure to get a high quality ebook with all the features you want (pictures, movies, tables, interactive elements) from us. We also make sure that your ebook is validated after the latest IDPF standard and works properly on all devices so that it can be easily uploaded to the distribution platforms. Please send us your data, preferably as a text file (eg Word), the cover as an image file (jpg or pdf). If you do not have a cover for your ebook, we will be happy to design one for you. Where you can publish your ebook? We support and give advise on all issues around the ebook publication. Just talk to us!